When it comes to controls, there are generally two options. Keyboards are favored by FPS gamers in particular, as the large number of buttons and familiar layout allows them to string together an endless stream of macros and execute actions with lightening quick efficiency. On the flip side, many gamers choose to use a console style controller instead. They provide a more ergonomic gaming experience, and the reduced number of controls provide simplicity. Many users select on, or the other. But what you may not realize is that there is a middle ground. 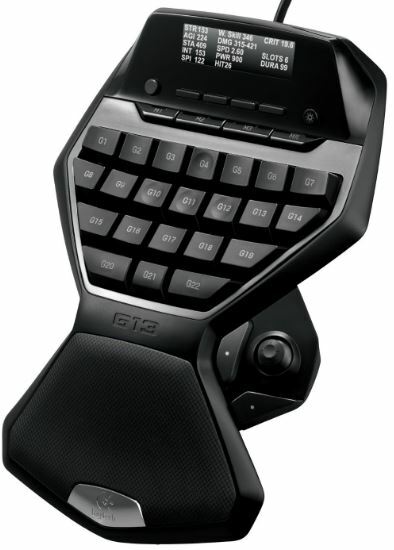 A gaming keypad provides all the same benefits of a keyboard, and combines it with the compact and ergonomic size and style of a controller. You get a layout that feels natural to your hand, but also offers high levels of customizability and quick response times. Most gaming keypads look like a small cutout from a full-size keyboard. They usually contain between 15 and 25 buttons, and many contain an ergonomic palm rest designed for extended gaming sessions. Just like full size keyboards, they range in quality from disappointing to game-changing. Before you pick up on of these handy tools yourself, read on to find out about the three best gaming keypads on the market. Razer is an incredibly well-known name in the gaming industry. From fully featured laptops to affordable peripherals, this company is favored by gamers who want high quality devices for a reasonable price. The Orbweaver Chroma has many of the features you’ve come to expect from Razer – namely their high quality mechanical switches and a stylish look. But there are a few other features, that make this keypad a little more appealing than some of the lower models. The Orbweaver Chroma is designed especially for FPS gamers, with 20 mechanical keys designed to be controlled by your four fingers. These keys are laid out in five columns of four buttons. The layout is very similar to that of a keyboards number pad, so you’ll be able to adapt to it quite easily. For your thumb, there is an analog style directional stick. It’s worth noting that this is actually a digital button. It has four separate trigger points for up, down, left, and right. Generally, this isn’t used for navigation. It’s used for actions such as changing a weapon or jumping. Below the button is a very large spring-actuated trigger. It has a solid “click” to it, and should be used for actions you need to do regularly such as shooting. There is a smaller button above the directional stick, which is commonly used as an alt-fire button. Because the control system is so well laid out, using feels extremely natural. It’s slightly rotated to the left, allowing the primary keypad to follow the natural curve of your hand. You might also notice that the far-left column of keys is ever so slightly off center to the rest of them. Because this row is designed to be operated by your pinky finger, they dropped the keys down as this finger is usually much smaller than the others. We found that when we placed our hand on the keypad, the keys lined up almost perfectly with the buttons. But not everyone’s hands are alike, so the Orbweaver Chroma is designed to be adaptable. The palm rest can rotate on a pivot, moving it up and down. If you’ve got larger fingers, this allows you to support your palm higher. The keypad is then operated with your hands in a curved position. If you have small hands, you can lay the palm rest flat and stretch out your fingers to line up. The thumb controls are naturally placed. Actuating the fire or the alt fire button just requires a simple movement up or down. Overall, we found the ergonomics to be simple and effective – something that you can learn almost immediately. The Orbweaver is a very well made and solid controller. Our favorite part of the system is the fact that it uses mechanical switches. Razer actually manufacturers their own mechanical switches, which are very similar to the Cherry Blue switches. This means that there is a loud “click” and solid tactile movement. Mechanical switches are designed to last a very long time, and popular with gamers as they allow you to achieve higher accuracy and shorter response times. When turned off, the Razer Orbweaver is a sleek looking keypad with a slightly aggressive look. But when you turn it on, the LED lighting brings it to life. This is where it gets the Chroma name. The sides of each key are illuminated by brightly colored LED lights can produce millions of different colors. There are more lighting modes than you can shake a stick at. Our favorite lighting mode was the ripple mode. When you press one key, light starts at the key you pressed and ripples outward in a rainbow of color. You can also use a ghosting style mode, where keys illuminate as they are pressed. You can assign static colors to specific keys, or illuminate only the ones you want to make it easier to find your custom macros. The Tartarus is the little brother to the Orbweaver. Although it doesn’t have all the bells and whistles, it’s got the same core functionality you need at a price you can afford. The keypad itself has a total of 15 keys, arranged into three groups of 5. These keys can be programmed any way you like. Generally, users map their WASD keys for navigational purposes, then use the rest for their custom macros or action buttons. By the thumb, you’ve got the same control layout found in the Orbweaver. To refresh your memory, this is an 8-way directional keypad and two fire buttons. 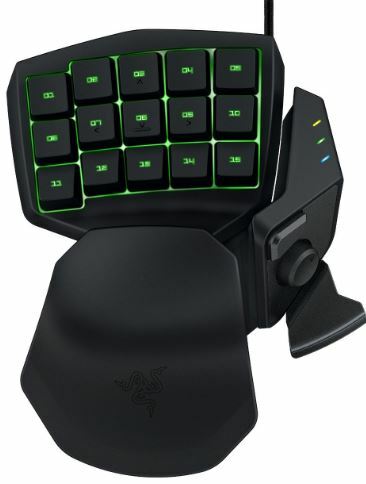 Because you’re working with a slightly more limited set of controls (compared to a keyboard) Razer gives you the ability to assign these keys any way you want. You can store up to 8 key assignments in the keypad, and switch them on the fly. You can also set the key maps to be assigned on a per-program basis. This means that you can set up separate key mappings for each game you own, and have them automatically loaded while you play. You might have to spend a few minutes on each game getting things exactly how you want, but once that is done the control scheme is completely automated. 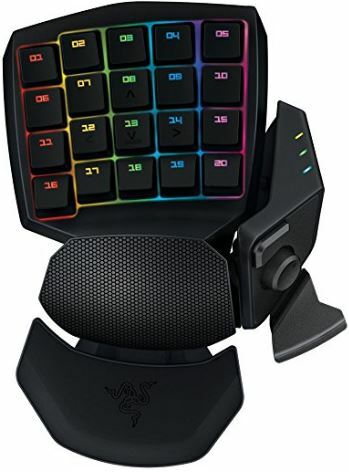 In terms of layout, this keypad is very similar to the Razer Orbweaver. We were just as happy with the ergonomics. It feels very natural in the hand, and we almost knew the key placement automatically, since we are familiar with keyboards. 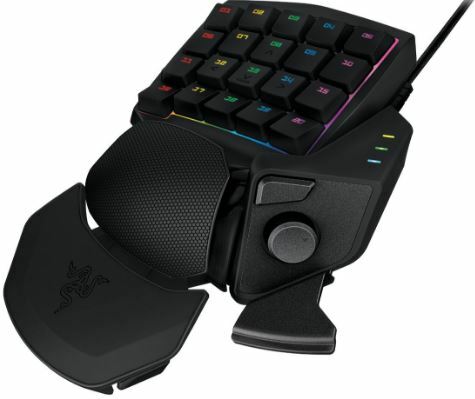 It is a little more comfortable to use three sets of keys, rather than the four on the Orbweaver. The Tartarus has a slightly different approach to adjustability. The palmrest is a solid unit, and the height is not adjustable. It’s got a slightly steeper angle, which places most of the pressure on the bottom of your palm, freeing up your fingers. You can slide it in towards the keypad, or out away from it. This is a pretty effective way to adapt it to your specific hand size. Although this keypad uses standard rubber dome keys, they’re much higher quality than your typical bargain keyboard. They’ve got a springy feel to them, and require a little more pressure than usual. We found that this made it easy for us to hit keys with high accuracy. They felt quite responsive, allowing us to operate quickly with little lag. When you investigate the keypad more closely, you’ll find that the quality and care that went into making it show up in surprising places. The USB connector is thick and durable, made from a much higher quality plastic than most. The cable itself is braided and very long, so you can place it wherever you want. It’s not going to wear out even if it’s rubbing up against something. As with all of the keyboards and keypads that Razer has given the Chroma designation, each key is illuminated with a color changing LED. You get all of the same lighting effects, which can be configured through the Razer Synapse application. The lighting effects vary from in-your-face to subtle, allowing you to configure it however you like. Because this is the most eye catching part of the keypad, the rest of it has a much more reserved look about it. You still get some of the sharp angles that give off the aggressive appearance that gamers crave, but it’s offset with smooth lines of the palm rest and the minimalist bezel that surrounds the keypad. If you’re looking for the cheap and cheerful alternative to expensive gaming keypads, Logitech’s got your back. Their G13 keypad is one of the most affordable options on the market, but it doesn’t skimp on features. 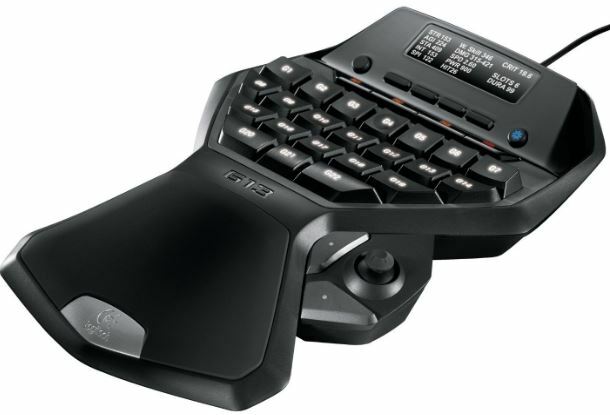 The Logitech G13 is ideal for those of you who play more complex games, or who love to use custom controls and macros. With 22 standard buttons on the pad, it’s the largest keypad we’ve used. But what really stands out is the layout of the keys. There are 7 keys in the first two columns, five keys in the third column, and just three keys on the bottom. The keys on the outside are a little larger than the others, making them easier to press. By the thumb, you’ve got a large navigational button, which is a truly analog stick. Below and to the left of this button are two trigger buttons, which you can assign as desired. Along the top are four macro buttons. Using dedicated buttons for macros is one of the unique features of the G13. We found it to be much easier to use than key combinations. You can actually program three different macros there, which are assigned to the three leftmost buttons. On the far right is the MR button. This one is the easiest to press. This is a recall button, meaning it just repeats that last macro that you used. This makes repetitive actions easy and ergonomic. We found the layout of the G13 to be surprisingly ergonomic. They’ve managed to but a lot of buttons onto a small area without making it cramped. The main reason for this is the varying sizes of the keys, depending on the position. Why did they do this? The further away you get from home row, the harder it is to press keys accurately. The top two rows are the easiest areas for your fingers to accurately press the buttons, so it makes sense to have higher key density here. Any areas that require a little stretching feature large, ergonomic buttons, so you don’t have any dead zones that are challenging to work in. There is very little adjustment settings available, but you don’t really need them. Instead of an upper palm rest, your wrist sits on the soft rubberized portion of the keypad, with your hand floating above it. This was extremely comfortable, and the rubberized area is quite large so you can place your hand wherever you see fit. Despite the lower price, the G13 is still an incredibly high quality keypad. Rubber pads allow it to sit softly on your desk, and prevent it from sliding around in the heat of the game. It’s made from a thick, durable plastic, and we didn’t feel it creak or bend even under large amounts of pressure. It uses the same key actuators as most Logitech keyboards, so if you’ve used one before you know how responsive and comfortable the keys can be. The most obvious addition to the keypad is the large LCD display at the top. Logitech calls this the GamePanel. It’s a high contrast LCD display with a resolution of 160 by 43. Unlike most LCDs which have black characters on a white background, this one is inverted. It uses a very bright LED backlight, so text is clear and easy to read, even if you’re only taking a quick glance. This screen can be used to display statistics about the game you’re currently playing, a worthy addition. Custom RGB backlighting is also available, although the effect is a little more subtle than Razers offerings. Instead of illuminating the area around the keycaps, it’s the lettering itself that lights up. This is handy for finding a quick button when you need to look, but not a particularly visually striking feature. That being said, the overall appearance of the keypad is a nice balance between professionalism and attitude, allowing this keypad to look nice in any home gaming system. Which Gaming Keypad is Right for Me? All of these keypads are great options, but the one that you choose depends on your style of gaming. Casual gamers will benefit the most from the Logitech G13. This keypad has the most buttons of any models we’ve reviewed, and it’s also the cheapest! This allows it to work well with many types of games, even ones that are designed for use with a controller or keyboard. For the price, you get a very solidly made keypad that is flexible enough to be configured to anyone’s play style. 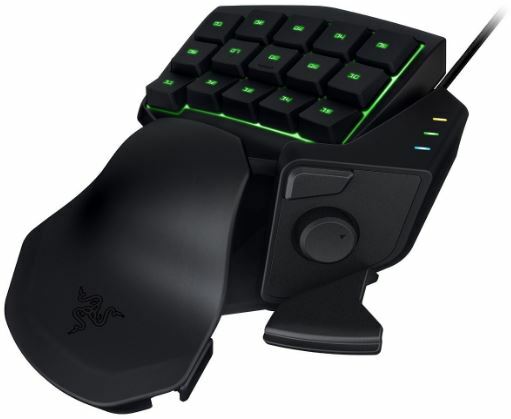 If you’re looking for something that is easy to learn, the Razer Tartarus is an excellent choice. The 15 keys are all very easy to press, and the thumb controls are the most ergonomic ones we’ve used. As a bonus, the incredible RGB backlighting will help you stand out in a crowd, giving you that aggressive gaming look you’ve always wanted. For serious FPS gamers, it is worthwhile to upgrade to the Razer Orbweaver. It has mechanical switches, which have been proven to improve response times and accuracy. But the icing on the cake is the extra row of buttons, so you can finally configure all of those advanced macros you’ve always wanted. If you’re not convinced that a gaming keypad is right for you, you might want to check out our reviews of the best mechanical gaming keyboards. These keyboards offer a more familiar control system, and are one of the most common choices for gaming control systems. So far, you are the only one who has made a definitive statement about the “analog sticks” on the Razer devices–I appreciate that. I almost bought an Orbweaver a couple months back until I realized it is a glorified D-pad. I am an ex-console player. Which means I am trying to get the best of both worlds. I really miss the analog stick for horizontal movement. The mouse is far superior than a joystick for freelook. Sadly there are two problems: not every game supports a joystick on pc, and the only usable game keypad is the g13 which is discontinued. it is now far more expensive than msrp.